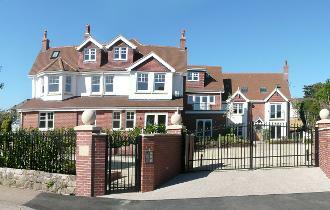 Completed on site, this project which is located in the leafy 'Avenues' area of Exmouth, near Exeter in Devon, the Architect services provided by Jonathan involved the production of detailed design drawings, production of Full Plans Building Regulation Drawings and the production of detailed Tender/Construction Drawings and a Written Specification. 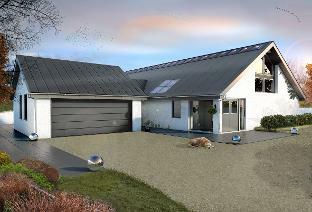 Bespoke, low energy, new build house in the open countryside, recently designed for a private client. Jonathan is instructed to provide a full architects service including, design, production of planning drawings, full plans building regulation application, production of tender information, tender action and on site contract administration. The extremely high quality architectural 3d visualisations have created by Archilime Ltd.
A new Architect designed kitchen extension and complete refurbishment has totally transformed this 1960's detached house. 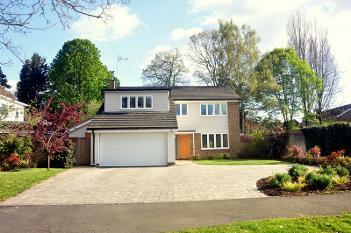 A new focal point has been provided in the form of a large open-plan kitchen/dining room opening onto the garden. Jonathan provided a full Architect's service including obtaining Planning Approval, Full Plans Building Regulation Approval, Production of Tender/Construction Drawings, production of a written Specification, Tender Action and on site Contract Administration. 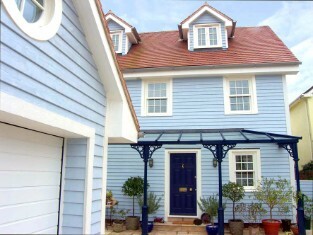 The brief was to dramatically remodel and extend a 1970’s beach front house located in a conservation area and 'Area of Outstanding Natural Beauty' in a picturesque East Devon seaside town on the Jurassic Coast, into a sustainable ‘New England’ meets Georgian style period property. Completed on site (autumn 2013), Jonathan was appointed to design, obtain detailed planning permission and full plans building regulation approval, for a bespoke, Architect designed, contemporary family home in a beautiful South Hams village location in Devon. 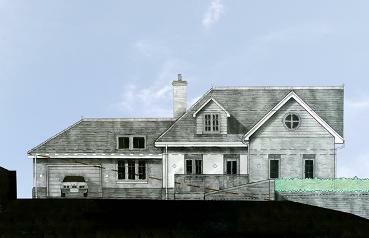 This bespoke high end project, located on the banks of the River Thames, involved designing and obtaining detailed Planning Permission and Full Plans Building Regulations approval for a large bespoke two storey extension and alterations to an existing arts and crafts house. 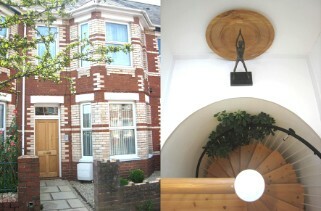 Jonathan provided a full Architect's Service, including obtained Planning Approval, Full Plans Building Regulation Approval, Production of Tender/Construction Drawings, production of a written Specification, Tender Action and Contract Administration, to convert an existing Victorian terraced house into two, 2 bedroom contemporary and stylish flats, near Exeter Devon. Jonathan was appointed by a developer client to provide a Full Architects Service, to produce a block of 10 luxury apartments. 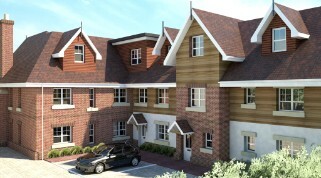 The apartments were designed to meet the 'Code for Sustainable Homes Level 5 (CSH Level 6 being the highest attainable). 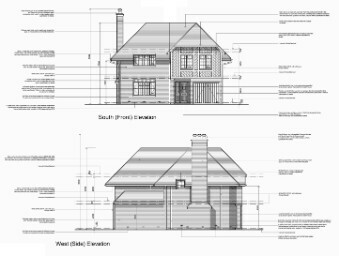 Jonathan was appointed to produce a detailed set of Tender/Construction drawings and Specification for this traditional, 4 bedroom, new build house in London. "We were delighted to have Jonathan's skill and expertise in interpreting our ideas and improving on them with excellent plans for the re-design of our seaside home. 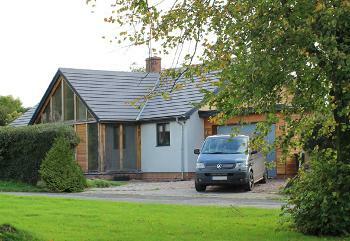 It made a nerve wracking time with planners etc decidedly easier." - Mr and Mrs S, Devon, 2011. 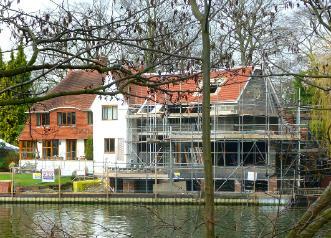 For a summary of the Architects services that Jonathan provides, and how he can help you with your own project please visit the Services and How I Work pages of this website.